Constipated? Read on to combat it! 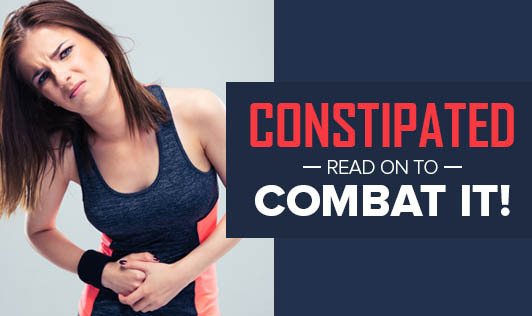 We all know that diet and exercise help you fight constipation! Sometimes, bad diet can lead to constipation. Bowel movement is different in each individual. It is normal to have a bowel movement anywhere between three times a weeks to three times a day. Food works as a natural laxative in preventing constipation and also reducing the chances of developing hemorrhoids, varicose veins and diverticular disease. Though some of the causes for constipation are medical problems and needs treatment, diets too can play a major role in avoiding constipation. A diet rich in insoluble fiber but lacking in sufficient fluids will not solve the problem. The rich sources of fiber for this condition include, wheat bran (available commercially), whole wheat atta, legumes/ peas, beans, dry fruits, carrots, green leafy vegetables and certain fruits. Fiber absorbs and retains water, adds bulk to the stools and helps in easier elimination by forming softer stools. Some foods like coffee and prunes are under research for acting as stimulants that promote bowel movements. However, caffeine also acts as a diuretic disturbing the body fluid balance by drawing fluids out of the gut where they are needed to soften the stools. It takes about 20 to 40 grams of fiber a day to regulate bowel movements. The amount you need depends on the severity of constipation. Drinking too little water could lead to harder stools. Usually six to eight glasses of water a day is needed to prevent hard stools. Maintaining healthy habits, eating the right amounts of food, and eating meals on time are important to avoid constipation. Apart from this, exercising 4-5 days in a week can help in making bowel movements regular and keeping constipation at bay!